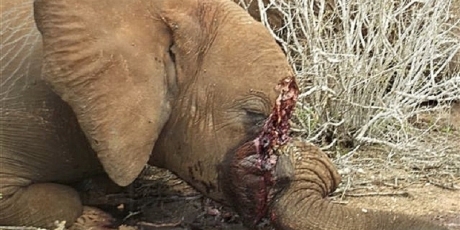 Avaaz - Yahoo - stop your deadly ivory trade! As global citizens, we are appalled that you allow ivory to be sold on your site, fuelling elephant extinction. Major brands like Google and Amazon now responsibly refuse to take part in this bloody trade. We call on you to urgently stop all ivory sales from sites in Japan and all other markets. I do not want Avaaz to inform me of the results of this campaign, or any other action in the future. 100 elephants are being massacred a day, and their emotional intelligence means they understand the horror of what is happening to them. Let’s raise a million voices to protect these majestic creatures -- Avaaz will run an advertising blitz and target Yahoo employees worldwide to demand change from the inside. Sign now and recruit others to join on Facebook, Twitter, and everywhere else!